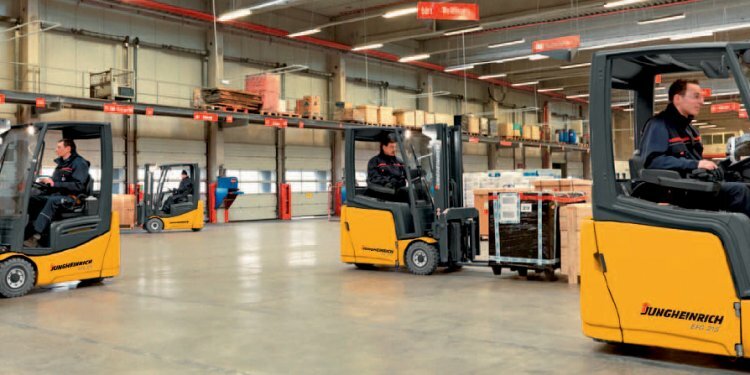 But that was just the beginning, as we are already working on a new production line of our IC engine powered forklift trucks at the plant in Moosburg. Essentially, this involves the establishment of a new IC assembly system at each workstation according to the lean production philosophy, combined with optimized material flows and a new logistics scheme. This includes the clocked production flow, in which vehicles are automatically maneuvered through the production line by driverless transport systems. At the same time, we have modified the workstations ergonomically by installing, for instance, lifting tables. Additionally, we succeeded in increasing efficiency and process reliability: by reducing processing times, which enabled us to increase the capacity utilization to about 10, 000 vehicles, as well as by implementing new highly modern, computer-operated and environmentally friendly testing facilities.